Dublin Simon Community have warned that the homeless and housing crisis is spiraling even further out of control following the figures published of emergency accommodation figures from June 2015. The June report shows that the number of individuals in emergency accommodation in Dublin is at a high of 2185. The report also shows that in the first six months of this year the number of families increased by 47% from 359 to 531, while the number of children in emergency accommodation rose to 1122, representing a 43% increase, many accessing hotel rooms with no facilities to cook or clean, with often just a bed to share. 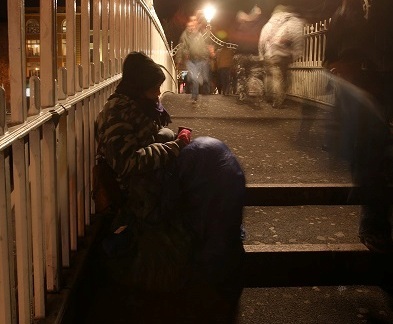 As this crisis continues to worsen, with these people and families having no move-on options available, they will remain trapped in unsuitable accommodation long-term, with the majority of this budget absorbed by emergency services, reducing the funding available for more permanent housing options or services to prevent people becoming homeless in the first place. Every day, children are facing the anguish and terror of being without a permanent home; leaving a devastating impact, not only on their childhood, but on their future. The Simon Community can see the damaging, long-term impact of growing up in insecure and unsafe environments and if the current situation continues these detrimental effects will be seen for decades to come. It is our priority now, as we continue to provide support services, to focus on acquiring permanent housing together with expanding our homelessness prevention and tenancy sustainment services to those adults, children and families who are most at risk. With the support of our donors we will provide accommodation to move them from the unstable environment of emergency accommodation, hotels and guest houses.